Nite Life Kennel was established in 1997. Was originally established as Strickland Kennels back in the 70's with our Grandfather "Ray Strickland". Grandpa loved the outdoors, he loved fishing, hunting , riding horses and etc... Living on the farm was way of life. I can remember the first time he ever took me hunting and I will never forget it. Our GOAL here at Nite Life Kennel is to keep the TRADITION alive! We are here most importantly to have FUN and ENJOY what we do best and that is living the life of the COUNTRY! We have established a nice little kennel for some southern country boys. We are NOT rich by any means. We work hard for what we got and we will continue to work hard for what we want. We have been blessed to be able to have such friends as we do and for the haters and nay sayers well GOD BLESS YA! 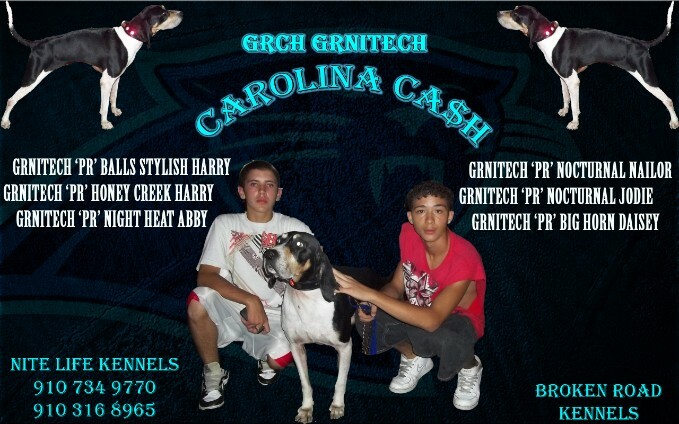 NITE LIFE KENNEL has had the opportunity to purchase half ownership of GRNITECH CAROLINA CASH! We have partnered with BROKEN ROAD KENNELS (Cleo Moore & Doug Bowers) with Cash. We would like to thank the both of them for such a wonderful opportunity! Cleo & Doug are real good friends of ours and we are PROUD to call them our FRIENDS. Check out more INFO on CASH @ STUD on the AT STUD page! 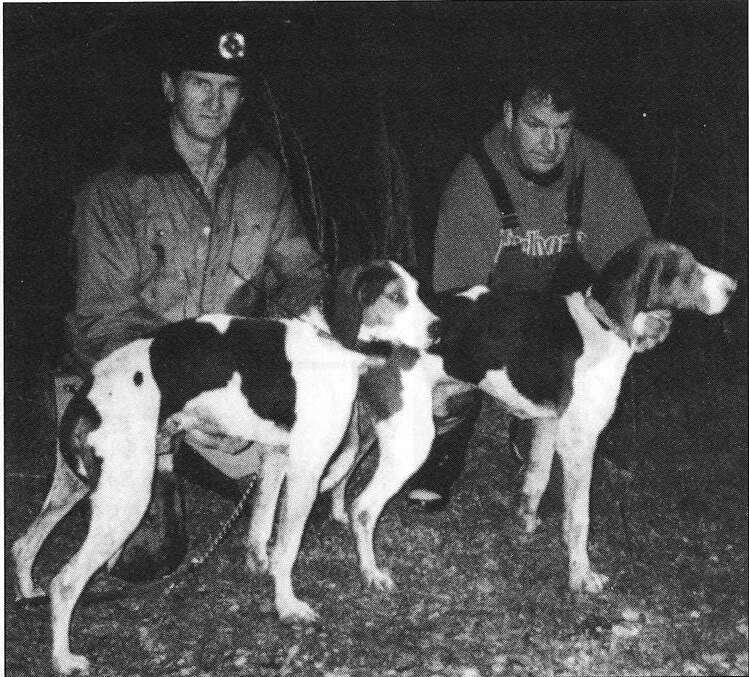 Check out the HUNTING PIC page for more pics of Hounds and TREE DOGS like BELOW!! We are qualified to care for and train any type of hound, and have excellent training. 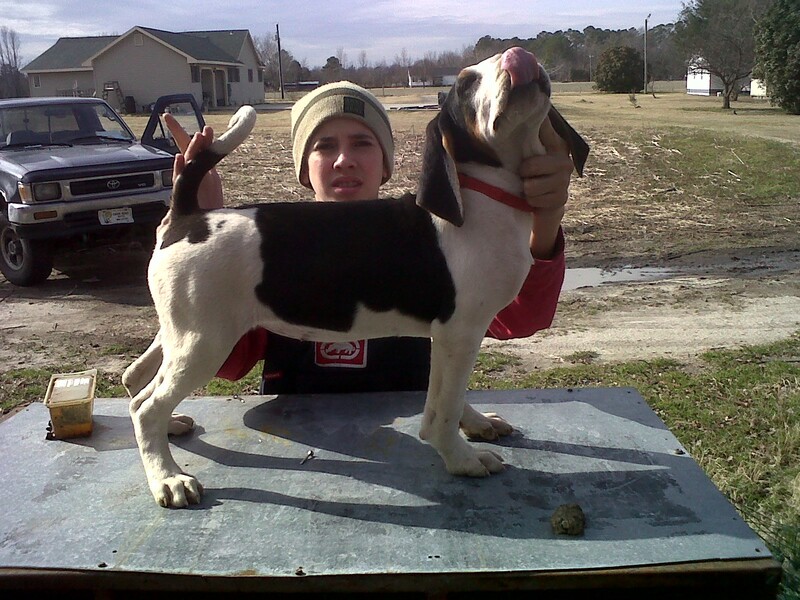 We are experienced with hunting and handling dogs. We care for your hound as our own. We have plenty of references available.